In 1863, Ouray led the first Ute delegation to visit Washington City. During their stay in the nation’s capital city, the delegation met with President Abraham Lincoln. It was the President’s habit to present an ebony cane to the leader of each Indian delegation that visited him. That same year, nineteen special canes were presented to a group of Indians who did not travel to Washington City. In 1846, the United States Army had taken control of what became New Mexico Territory after the Mexican American War. The Pueblo Indians of that territory came forward in peace and did not oppose the invasion. They continued their peaceful stance as the U.S. government pursued nomadic tribes to bring them under control. Similarly, when Civil War activity spilled into the territory, the Pueblos refused to become involved. On January 22, 1864, Congress approved appointment of Dr. Michael Steck as Superintendent of Indian Affairs for New Mexico Territory. Steck had been an Indian agent in the territory for the past ten years. 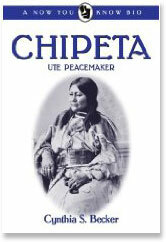 He promoted the idea of recognizing the Pueblo people for their peaceful support. While in Washington on government business, he gained Lincoln’s approval for delivering a cane to each Pueblo. On February 15, 1864, Steck ordered nineteen canes from John Dold of Philadelphia. Each cane would be inscribed with the name of the Pueblo, the year 1863, and the signature of “A. Lincoln.” The silver-topped ebony canes cost $5.50 each at that time. Steck returned to New Mexico on March 27, 1864 with the special gifts, which he presented, on behalf of the President, to the Governor of each Pueblo. Recipients were the Pueblos of Taos, Picuris, San Juan, Santa Clara, San Ildefonso, Pojoaque, Nambe, Tesuque, Cochiti, Santo Domingo, San Felipe, Jemez, Zia, Santa Ana, Sandia, Isleta, Laguna, Acoma and Zuni.